Carrie welcomes Sarah Sellers back to the show! 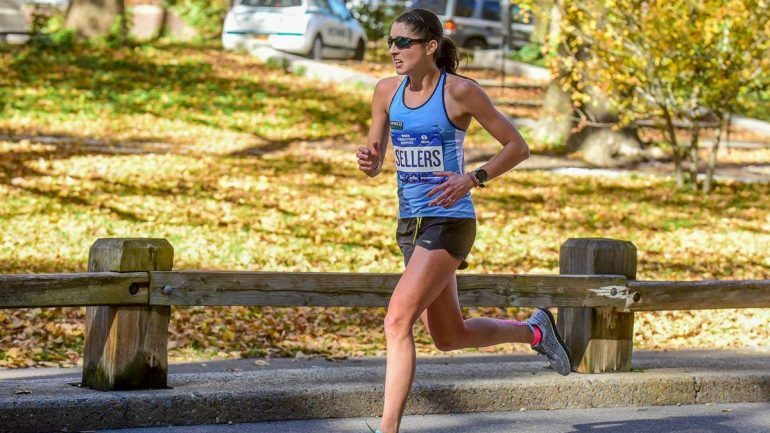 In this episode, they talk about her (not so perfect) buildup and race at the 2018 TCS New York City Marathon, how life has changed since placing second to Des Linden in Boston, and her life outside of running. Sarah is a nurse anesthetist in Tucson, Arizona and lifelong runner. She shocked herself and the running world when she placed 2nd at the 2018 Boston Marathon under conditions of relentless rain and freezing headwind. She most recently competed in the NYC Marathon on November 4th, coming in 18th with a time of 2:36:37. Sarah is a Utah native and competed for Weber State University where she holds the Big Sky Conference record in the 10,000 meters (32:51). She ended her collegiate career early due to a slow-healing navicular stress fracture, requiring her to step away from the sport for several years. Sarah lives and trains in Tucson, Arizona with her husband, Blake, and border collies, Indy and Basin. She loves mountain biking, hiking, scuba diving, cooking, and spending time with her 6 siblings (1 sister and 5 brothers). Sarah’s husband is an orthopedic surgery resident at the University of Arizona.